We have a choice of three styles of luggage rack available for the Triumph TR6. 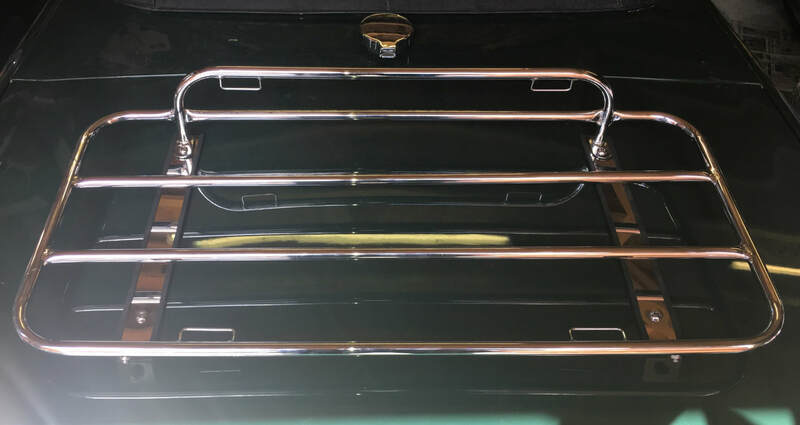 Premium specification Classic Style boot luggage rack with bespoke reversible fittings suitable for the Triumph TR6. Sports Style full size boot luggage rack with bespoke reversible fittings suitable for the Triumph TR6. This product is now produced to special order only. 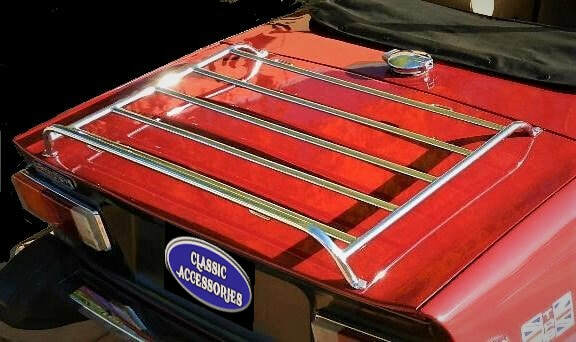 American Style boot luggage rack with bespoke fittings suitable for the Triumph TR6. Now produced to special order only. Full size 36 inch heavy duty load platform for extra strength, with hand brazed joints for a clean seamless appearance. ​Supplied with mirror polished stainless steel Allen hardware and rubber seals. ​Nominal Dimensions : Approx. 36" by 24"